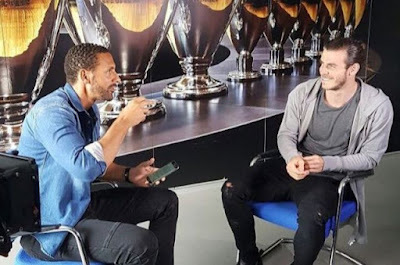 Manchester United Legend Rio Ferdinand believes Gareth Bale has nothing more to prove in Madrid and that he has only been giving the role of a supporting cast all this while in the club. Gareth Bale was the hero for Madrid in the Champions League final against Liverpool but looking at his time in the Spanish side, he hasn't been giving much time to shine since he was signed from Tottenham. Though Bale was bought to replace Cristiano Ronaldo or even increase the competiton for the Portugal captain, but rather he havn't been able to do any of those as he has been giving limited time to shine. Rio Ferdinand has now take time on Instagram to encourage Bale and tells him is time to move on and join a team where he will stand as their main man. Ferdinand also point out Manchester United as the best club for the Wales international. Do you think a move to Manchester United is really good for Gareth Bale? Share yor opinion with us.